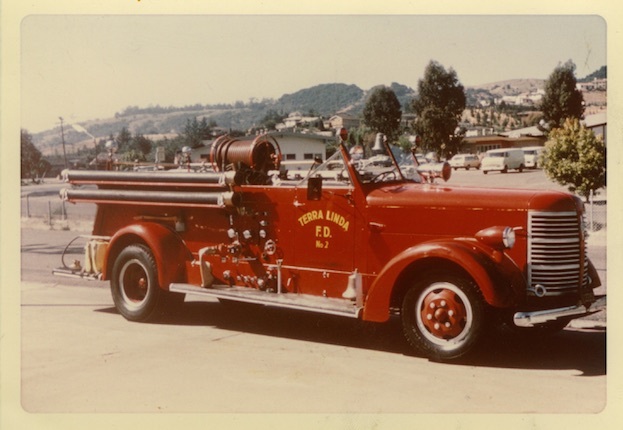 The History of the Terra Linda Fire Department, eventually annexed into the City of San Rafael FD, full story coming soon. This group photo was taken on the last day of the Terra Linda FD. Photos courtesy of Ed Mestre. 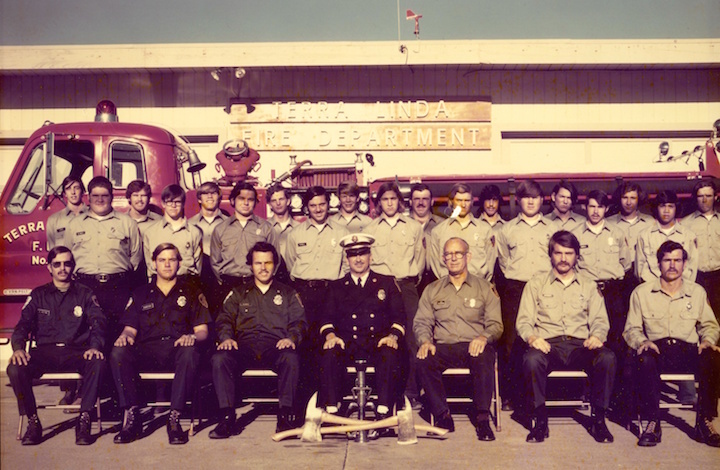 The Terra Linda Fire Department was part of the Terra Linda Community Services District. It became part of the City of San Rafael Fire Department in 1972, when the Terra Linda area was annexed. It was initially a volunteer Fire Department, and eventually became a combination department with a few paid staff. The organization had an impressive alumni group, including retired San Rafael FD Division Chiefs Mike Angeli and Brian Waterbury, and retired Marin County Battalion Chief Ed Mestre and Captain Ken Carter. Look forward to the full story, including shared memories from the alumni.